Guess what? 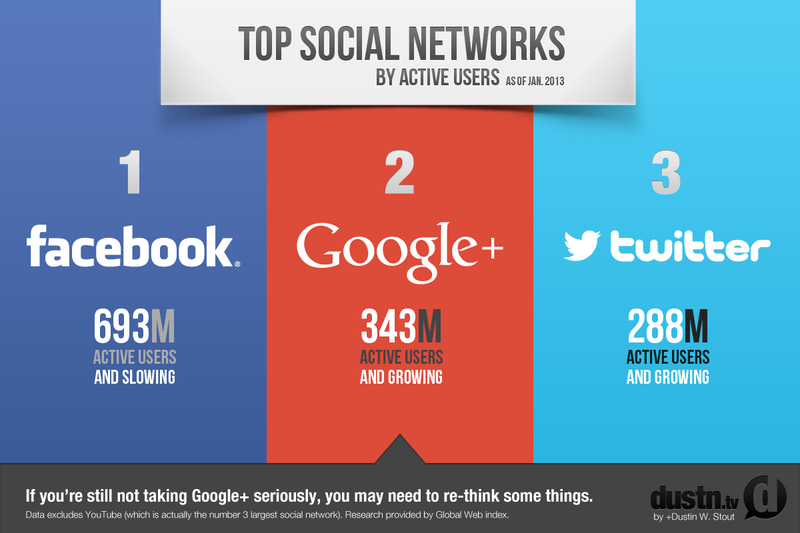 Google+ is now the number two social network in the world! Before, it was a ghost town of underground mole users, but now finally, Google+ has been able to dig through the ground and into the light. 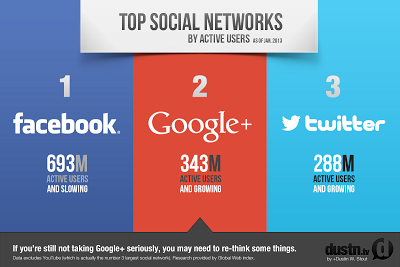 According to Global Web Index, the numbers gathered now show that Google+ has surpassed Twitter in active users and is second only to Facebook. So now, all you Google+ users, if someone even hints about Google+ being a failure, you can give them a funny look! As advertisers, businesses and brands continue to see a decline in the effectiveness of their Facebook efforts, Google+ continues to gain ground with it’s innovative features. Users are just becoming numb to the same old stuff on Facebook. It’s no surprise– when things aren’t evolving, they are inevitably going to lose their effectiveness. And if you’re a blogger (like myself)– you have all the more reason to jump on Google+ immediately! The SEO benefits, though still a bit ambiguous, are no joke. Not to mention the ability to network through Communities of other bloggers who are actively sharing helpful tips and even forming blogging armies to help one another succeed.